Gone are the days of the long narrative passages we used to see in novels written by greats like Dickens and Steinbeck. Even though literary prose is still highly praised and found in many bestselling commercial novels, the trend over the last few decades has been to “show, not tell.” Meaning, readers prefer scenes in which they are watching the action unfold in real time—instead of being told what is happening by the author or even by one of the characters. Twentieth-century readers, transformed by film and TV, are used to seeing stories. The reading experience for a twentieth-century reader is increasingly visual. The story is happening in front of his eyes. Just How Do You Show? 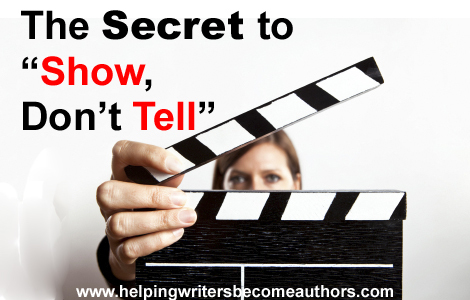 As much as we writers hear the phrase “show, don’t tell,” we never hear anyone explain just how to do that. Is there only one way to “show” a scene? Is there a “best” way? Is there a secret to doing this well? I believe the key is in what Stein spoke of—how the reading experience has been affected by film. Film technique is the ultimate in showing instead of telling. In fact, even in scenes in which a character is talking about what is happening, whether a character on the screen or as a voiceover (when you just hear someone talking but don’t see them), you still see something happening on the screen before you. In a novel, if the author interrupts the present action to explain something (narrative or exposition), the reader stops “seeing” what’s going on. Back in the day, because film had to be edited laboriously by hand and was tricky to do seamlessly, many movie scenes were filmed using one camera from one angle in one continuous shot. Take a look at some of the dance scenes from some old Fred Astaire movies and you’ll be amazed how he performed his dance sequences so perfectly in one long shot! It makes me wonder how many takes they’d have to do to get that perfect sequence. Now with the wonders of modern technology, film editors can cut and splice with ease and create scenes out of numerous segments from different camera angles. Just pay attention the next time you watch an action movie like Die Hard. See if you can count all the individual cuts and camera shots that have been pieced together in a segment. Sometimes there are dozens—forcing your eye to shift from close-up to zoom, to panning the action, to an inserted detail, and the list goes on. If novelists approach their scenes in a similar fashion, they’ll produce powerful, riveting scenes. These scenes don’t have to be high action; any scene can benefit from this technique. Too many novel scenes feel like the camera is stuck in one spot watching what is happening, and that can make a scene flat and boring. Imagine two people talking while they sit and drink tea with the camera only showing their two faces. Boring. But you don’t just want to “move your camera around” randomly. And this is where the secret comes in. Let me preface by saying something I say often, to the point of excess: every scene needs to have a point or it shouldn’t be in your novel. With that said, let me add this: every scene needs a high moment, where that point is made. When actress Rosalind Russell was asked “What distinguishes a great movie?” she answered, “Moments.” And that’s so true for scenes. We remember great scenes because they contain a great moment. Often that moment is not something huge and explosive. 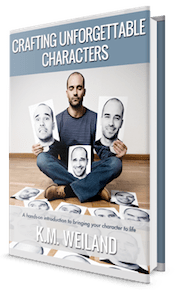 On the contrary—the best moments are the very subtle ones in which the character learns or realizes something that may appear small to the outside world but is giant in scope to the character. So, once you determine the “moment” in your story, think about the best way to show it. If you are revealing something small—like a word, an expression or reaction, or a physical detail, you’ll want to have your “camera” up close. If it’s a big explosion in a city center, you’ll want to use a long shot to see the impact on a huge scale. Once you envision that moment and how you mean to show it, you can work backward to build up to it. Just like a movie director does when planning the segments to shoot a scene, writers can storyboard or plan out each segment leading up to their “moment” to give it the greatest punch. Learn from today’s top movie directors and watch how they tell a story on the big screen by using camera shots. Pay attention to the key moments in each scene and notice how the filmmakers “show” instead of “tell.” If you take the time to study great scenes in movies, you can discover ways to fashion great scenes in your novels. Don’t be surprised when readers keep saying to you, “Wow, I could really picture your novel as a movie.” Take that as a compliment. 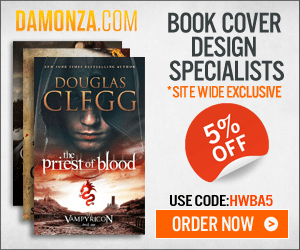 Tell me your opinion: What have the movies taught you about writing novels? C. S. Lakin is the author of sixteen novels and three writing craft books. 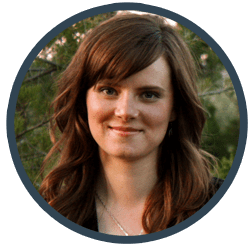 Her award-winning blog Live Write Thrive gives tips and writing instruction for both fiction and nonfiction writers. If you want to write a strong, lasting story, check out her new release The 12 Key Pillars of Novel Construction, part of The Writer’s Toolbox Series, which provides a foundational blueprint that is concise and practical and takes the mystery out of novel structure. Thank you for this! Very inspiring to keep searching for more ‘moments’ in my writing, reading, and my life. Wow, the light bulb went on! Thanks for the post and the great visual! This is a great post; a nice twist on a common topic. I’ve been reading a lot of self-published books lately and this is often a point the authors miss. As you say, great works of old got away with pages long blocks of expository text, but no more. As to your question I like to study the actors – when they are angry or surprised, or thrilled, how do they convey that. Then you top it off by discussing “camera angles”. Not just who the POV character should be, but where. Good point! Thanks for this very useful post. I have just given a link to this post. Thank you for this outstanding post! It gave me fresh insights into showing my scenes. I am really happy after reading this post,I sincerely thank you for sharing what you know with others .Now this is the first step to being a brilliant author not a writer. Thanks for the practical advice on “show, don’t tell”. It seems that approaching scene construction and viewpoint in the same way as a film director would work best in third person omniscient or cinematic POV. Any tips for using these techniques in third person limited or first person style without jarring POV changes or head hopping? I totally love this post because not only is it so relevant in a time where books are being made into movies and vice versa, but it also hinges on the fact readers are watchers and they are very observant of critical moments in a book. Many times I have read a book and thought: “I can see this on Lifetime! or an action flick!” My hope is to translate that very well into my own writings and be watchful for moments. I unconditionally detest and boycott fiction written in the vein of the “show, don ‘t tell” ideology; consequently, there is no way any of your propaganda can dissuade me from telling instead of showing.